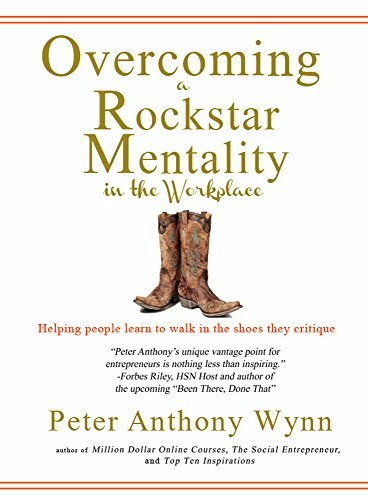 In Chapter Nine of my latest Book "Overcoming the Rockstar Mentality" I discuss the importance of defining your culture and the simple elements that cultures all must have in order to thrive. A strong business culture needs many things but the most important element the thriving business culture needs is SIMPLICITY. It is this one portion and this one portion alone that will allow your culture to thrive or die. As businesses become more complex the mission become larger and larger and the messaging becomes more and more diverse. It is impossible for a company, especially a small company run by a single or a few entrepreneurs grow without clarity of VISION. Throw away boring redundant mission statements that never get followed and look at creating something beyond a vision statement, that I share in my book coming in the summer "The Social Entrepreneur", I call it "A Cultural Promise™". What "A Cultural Promise™"" is actually is quite simple, it is the promise that is made to the Leaders culture based on the values that culture is committed to stand behind and embody. This is something that can easily be shared within the entire culture of the business. It is perfect for the internal culture and the external culture alike. The “Cultural Promise™” ties in the simple aspects of what everyone is doing to support the culture. SIMPLY it is a statement that will start with a belief and end with the commitment to that belief which finds its foundation in the values of the employees and the customers. It is the statement that will not be bent. It is this statement that has lead a country to greatness and freed people from persecution. It is that ONE SENTENCE that connects our culture for centuries and empowers our people to fight for the belief of their country. It is the one sentence that has built the greatest experiment in human history. Within the culture of You Will change the World we share this belief, it is the essence and foundation of our own ‘experiment’ as we march towards the 22nd century. Culture endures, culture grows itself and empowers others to fight with you rather then against you. The “Cultural Promise™” that business must find within themselves needs to be simple, fun and memorable. The cultural promise needs to be something that people cannot deny will make them better not weaker, will make them believe and not doubt and will encourage them to stand together through trials and tribulations. Every business will hit plateaus where they have become to complicated, where the business has tried to hard to appease smaller components of its people rather then encourage their people through the collectively single message of their leader that ties the business directly to the people. If you want to create a lasting strong and enduring culture you must start with a “Cultural Promise™” that encourages your people to fight through the hard times because the cause is worthwhile, because the product, service and message must be shared. When you lead with vision the “Cultural Promise™” will become simple and easy for you to articulate. IT IS NOT a mission statement, and clearly not a visions statement either. A “Cultural Promise™” is just that a promise of what you believe and what you are committed to LONG TERM, even when it is not easy, even when it costs more, even when you could cut corners and earn a greater profit. In the ninth chapter of “Overcoming the Rockstar Mentality” I bring this thought home.